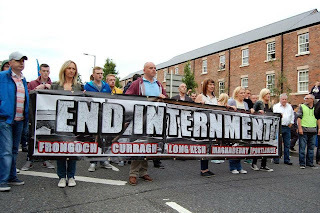 Belfast 32 County Sovereignty Movement: 32CSM STATEMENT ON ANTI-INTERNMENT MARCH. 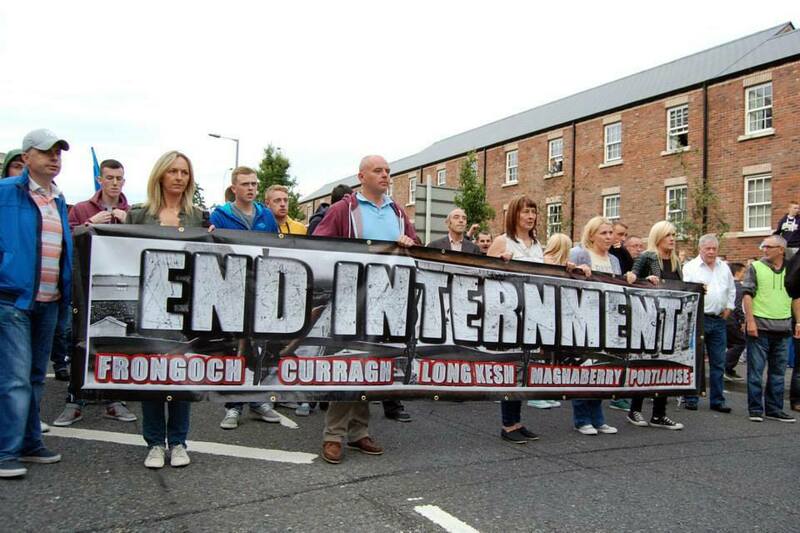 32CSM STATEMENT ON ANTI-INTERNMENT MARCH. 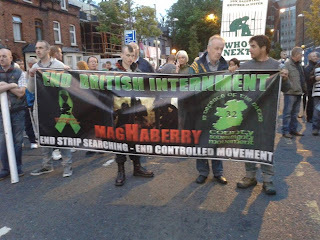 The 32 County Sovereignty Movement were proud to be a part of the August 9th Anti-Internment march in Belfast, standing together with fellow Republicans and Civil Rights activists, who through their presence, stated loud and clear to the British Government and Stormont quislings that Internment was wrong in 1971,was opposed then, is wrong now, and will continue to be opposed. Thousands took to the streets of Belfast showing a United front against the accelerated increase of Human rights abuses directed against one side of the Community, given tacit support by those who once demanded parity for all, yet now content to turn a blind eye in exchange for personal gain. A previously unheard of, 6 protests, were granted by the supposed Parades commission with 2 of those having no restrictions on numbers whatsoever with the RUC/PSNI blocking the rally for extended periods of time giving the Loyalist protestors opportunity to launch attacks on the marchers. The Organisers and attendees were dignified, steadfast and resolute in the face of vitriol and hatred. To their credit, they didn't react to the provocation from the protestors and RUC. We in the 32 County Sovereignty Movement would like to thank all those who were in attendance, and the hundreds who lined the streets welcoming those who took part. Let us now continue to build on the unity shown and the growing Resistance to Human rights abuses and Internment.